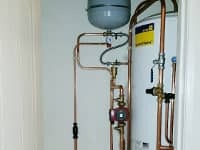 Call us today for free, friendly advice if you require a new unvented cylinder installed or repaired. 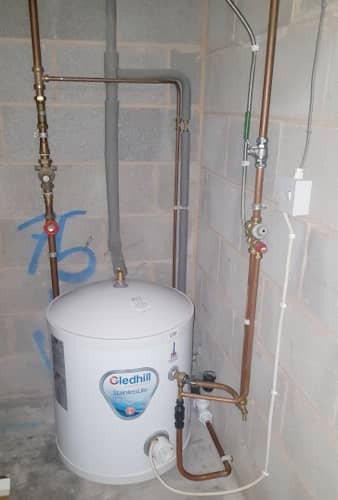 We are unvented cylinder specialists in Liverpool & Merseyside and have completed many large installations for commercial premises and domestic homes. We have qualified G3 (this is the legal qualification for unvented cylinders which you require) engineers who can install or repair your cylinder. Your must ensure that unvented cylinders are fitted safely and to manufacturers specifications. UK Government created the Building Regulations G3 for this purpose. 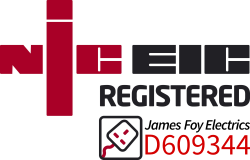 We offer a free survey and quotation to discuss your requirements. We install multiple manufacturers of cylinders including Megaflo & Gledhill. 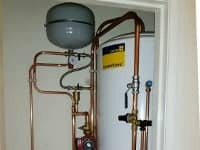 In domestic properties, there are two distinct types of hot water cylinders on the market. 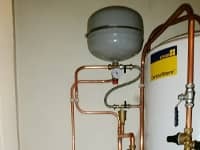 The increasingly popular and modern approach today is a pressurised 'unvented' cylinder vs. an older 'vented' cylinder. They both come in different sizes regarding the cylinder capacity, i.e., how much water they can store and heat. 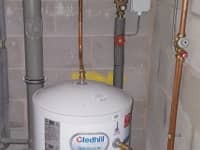 An unvented hot water cylinder stores water that is directly supplied from the mains water supply into the property. 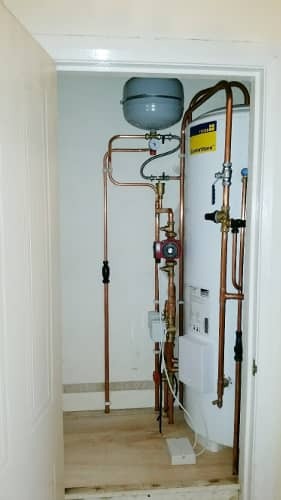 The hot water is subsequently heated using electrical elements (immersion heaters) within the cylinder or indirectly from a boiler (this is explained further down 'Indirect vs. Direct'). Due to the cylinder operating at mains pressure, they are capable of supplying multiple outlets with hot water at excellent flow rates. With your hot water being mains pressure, your hot water delivery will dramatically improve. The term 'unvented' derives from the cylinder not being vented to the open atmosphere. They are an excellent selection if you require instant hot water with great flow rates in multiple bathrooms and kitchens. 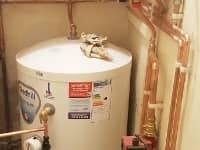 Unvented hot water cylinders are extremely dangerous to fit yourself. 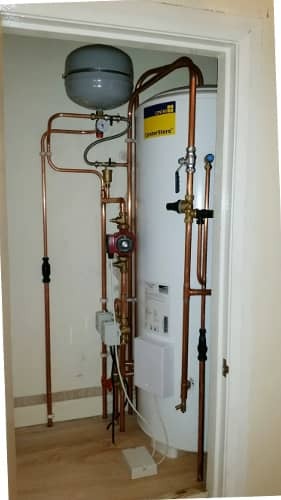 You must have a qualified professional install & maintain your unvented cylinder. These units are extremely dangerous when installed incorrectly. 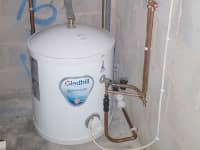 Below are photographs of unvented cylinder installations our teams have completed. 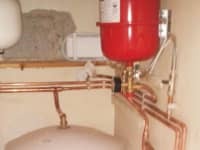 Please look at our plumbing & heating photographs. 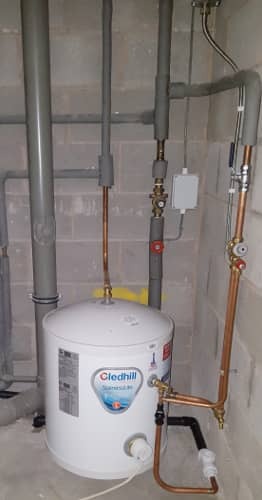 Certified to install & commission unvented cylinders. 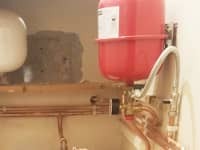 The hot water is heated by an external power source, such as a gas boiler. 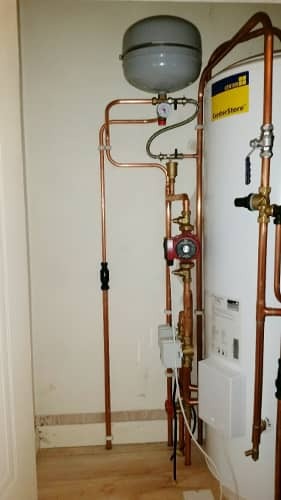 These models usually have a backup immersion should the primary heating source fail. Direct:- The hot water is internally heated by immersion heaters within the cylinder.